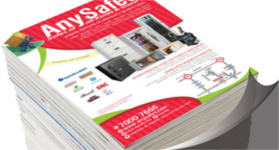 AnySafes is a family owned business selling one of the most extensive and large ranges of safes at the lowest prices available with the best customer service. Our online store provides the best quality safes available in the market from the world’s leading safe manufactures to suit individual Homeowners, Businesses, Gun owners, Data Media, Hotels needs and requirements. AnySafes specialize in supplying Fireproof & Burglary Grade Resistance Safes of all kinds and sizes. Tested with all appropriate levels of certifications (CE, ISO 9001, UL, ECB-S, SP, SINTEF, and ECB Test). Also we offer Money Counters & Detectors, Key Solutions, Locks & Cylinders, Cash Drawers & Trays and Filling Cabinets – Lockers – Cupboards and Storage Solutions. As safe specialists we are able to offer a full range of services including Delivery, Installation and Repairs.